London has an endless choice of vibrant and historically interesting districts to visit and explore. Diane has the in–depth insider knowledge to bring the magic, tradition and hidden corners of this exceptional city to life on a London guided walking tour. As one of London’s most experienced London Blue Badge Guides she offers one of the widest repertoires of London walks to be found. Whatever your interest – Theatrical London, Literary London, Undiscovered and Secret London, Royal London, Local History, Multicultural London, Artistic London and many more subjects. There are guided walks in London to suit everyone. Walks in London often require the personal touch. Diane prides herself on having a flexible approach to clients’ requirements and she would love to advise and recommend guided walks and tours in London which can be tailor made to suit your individual interests. These tours are suitable for visitors and Londoners alike. 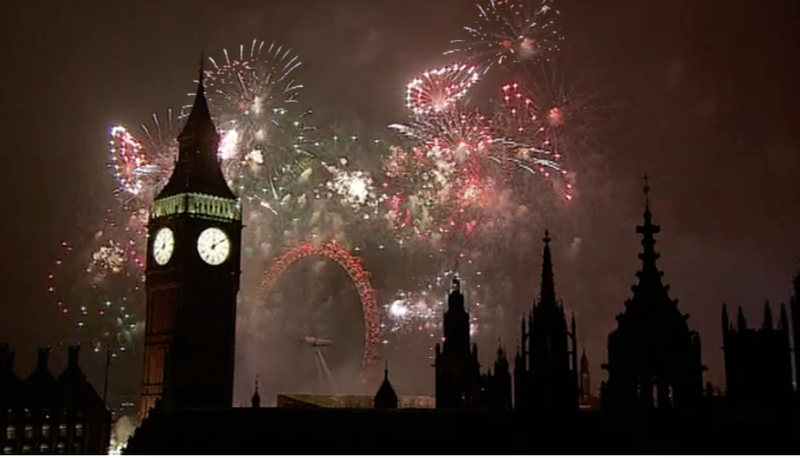 It might be your first time in London or you could have lived here all your life. 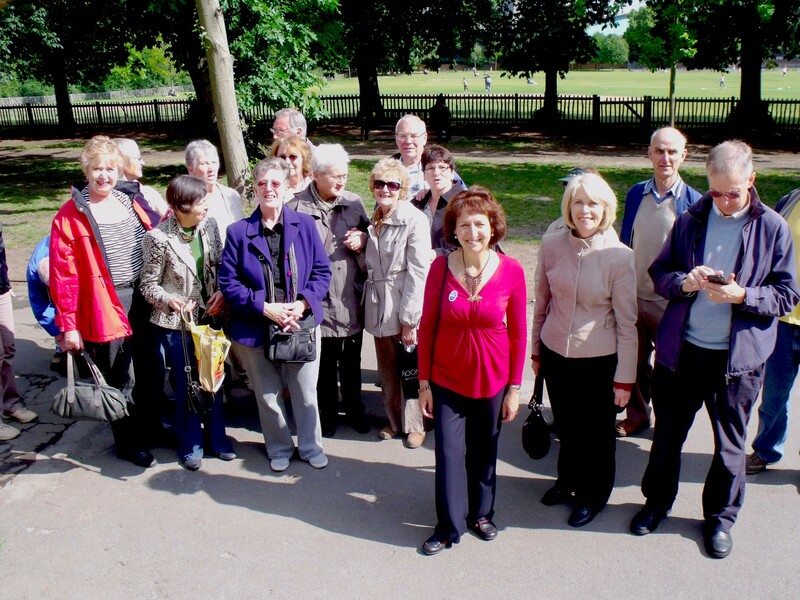 Diane’s speciality is leading tailor made guided walks and tours of London for every type of group including seniors, students, corporate clients and special interest groups. 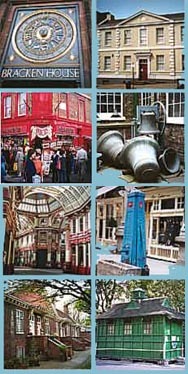 Just go to our GROUP BOOKINGS section and select from a comprehensive list of London Guided Walks. If you don’t see the subject or area you require contact Diane with your London walking tour specifications and she’ll work with you to create the perfect tour for your group. Diane has provided Tour Managing services for a variety of US and Australian Groups and has Conference and Incentive experience,having manned information desks providing a comprehensive information service on London. If you require several guides for your London guided walks and tours, Diane works with some excellent Blue Badge colleagues and can arrange for additional guides with the qualities and experience you require. If your group has been to London before and wants a more unusual view of the City on a London walk please check out our GROUP BOOKING section to see a selection of the London tours Diane can offer. Diane is always happy to tailor make a tour to suit your clients’ requirements and can make suggestions on suitable tours for special interest groups so please get in touch if you want some help with your group itineraries. or telephone +44 20 8445 0159. These are tours taking place on scheduled days which individuals can join. 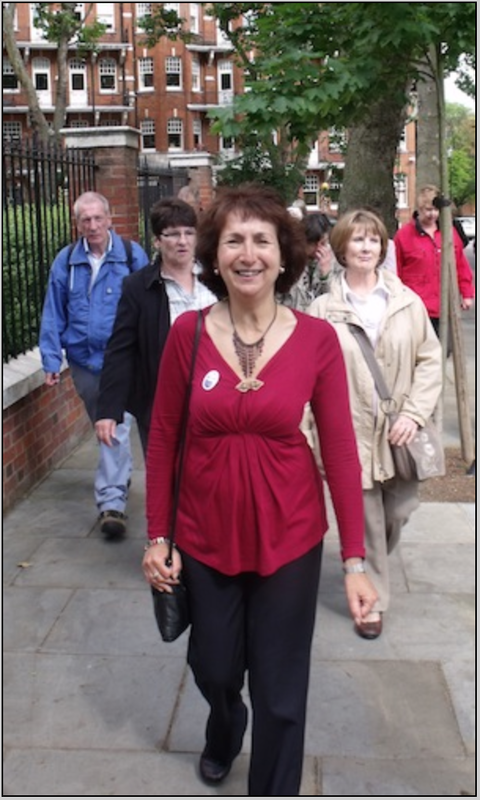 Members of the public can join Diane’s limited number of PUBLIC WALKS including the Theatreland Walking tours, the popular fun walking tour – The Halloween Tour or the regular series of Discovering London walks and visits. In addition to this, Diane organises a twice yearly programme of bookable “one off” full and half day London guided walks and tours which often include visits to buildings not normally open to the public. These are sociable days when you will meet like minded people who love London history. Either come alone or bring a friend. Go to PUBLIC WALKS. 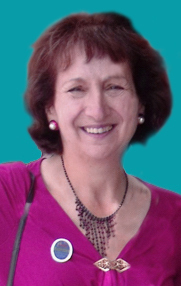 Diane Burstein is one of London’s best known and most versatile tour guides. She has made a name for herself with her Secret London feature on talk radio station LBC 97.3 FM and now makes regular contributions to BBC London 94.9’s Saturday Breakfast Shows. She is the author of a successful book "London Then and Now" which featured in BBC History magazine's Top Ten Best Seller.A native Londoner, Diane brings to her tours the insider knowledge that only a true local can offer. Diane holds the prestigious London Blue Badge ( the principal London Guiding qualification) and has a BA Honours Degree in English Literature and History. As a Further Education Lecturer, Diane teaches “Discovering London” courses for two Adult Education Colleges and has extensive experience with adult and student groups. In addition to this, Diane is an accomplished speaker and has given talks on London related subjects to numerous groups in the Greater London area. A specialist in London Theatre, Diane has led a number of tailor made tours for international Theatrical and Choral Groups and is looking forward to introducing you to the delights of her native City. "I have always found her to be in a class of her own"
For the second year running Diane captained a quiz team of guiding colleagues to retain the coveted London Historians Quiz Trophy. The competition was tough but we won a clear victory over teams made up of knowledgeable London Historians members including Academics, Authors, Archivists, Genealogists , London Bloggers, Curators and , of course, fellow London Guides. You have made no bookings. Click on TALKS in the menu bar for up-to-date information about Diane's on-site talks and presentations. NEW Hops, Horses, Potters and Plays: Discover London South of Tower Bridge.